Who says candid pictures always have to be nice? 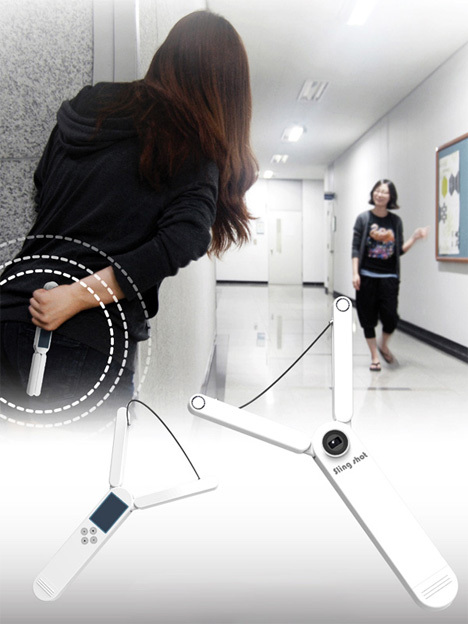 Wouldn’t it be more fun to catch your friends’ faces at their most startled? 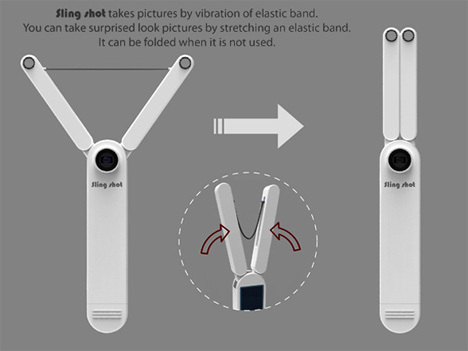 You definitely would accomplish that with the Sling Shot Camera. 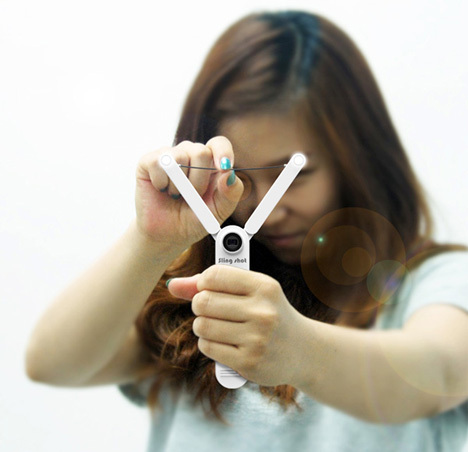 As you can infer from the name, it looks just like a slingshot – but instead of flinging spitballs or pebbles with the elastic string you can snap hilarious portraits of your friends looking surprised. It is easy to imagine that anyone would be a bit nervous when approached with this camera, particularly when it is aimed right at his or her face. But that momentary fear would probably soon turn to amusement when your target realizes there’s no ammo in this slingshot. 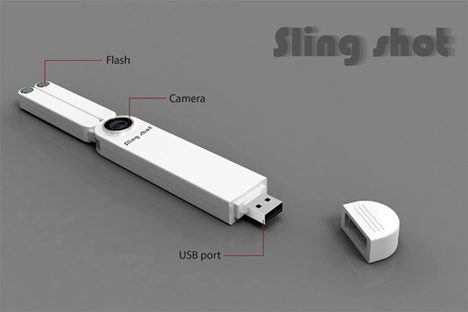 This playful take on the digital camera would sense the vibrations of the string to activate the shutter. There’s a small preview screen on the back of the camera’s body where you can instantly laugh at the funny faces your quarry made when you hunted them down with something that looks like a weapon.